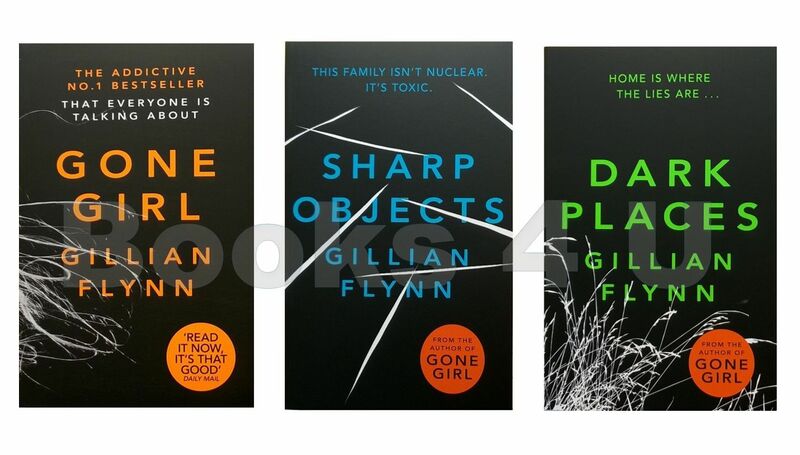 Posted on October 1, 2016 by Mrs P.
Gillian Flynn’s Sharp Objects (2006) and Dolores Redondo’s The Invisible Guardian (2013) are quite different in style, but have a number of features in common, not least their challenging depictions of mother-daughter relationships. Both crime novels begin with the murders of a series of young girls or teenagers. The killings take place in or around a small town or village, and are investigated by a young woman who grew up there, but who left as soon as she could. In Sharp Objects, Camille Preaker is a Chicago journalist whose mother, stepfather and half-sister live in the town of Wind Gap, Missouri. She returns there for the first time in eight years when her editor sends her to report on the killings of two young girls. In The Invisible Guardian, Inspector Amaia Salazar is ordered to lead the investigation into the murders of two teenagers, and returns from Pamplona to the village of Elizondo in the Basque country, where her mother and sisters are still based. In the course of their journalistic and criminal investigations, Camille and Amaia are forced into close proximity with their families and to confront repressed childhood traumas. In particular, the novels portray abusive mother-daughter relationships in ways that are both unflinching and disturbing. In one, we are shown how abusive mothering is transmitted from one generation to the next. In the other, no rational reason for the abuse is ever shown, which is perhaps even more unsettling. In both novels, the daughters have to accept and somehow deal with the corrosive effects of their mothers’ extreme behaviour. While both of these crime novels are excellent, they won’t be to the taste of all readers. Gillian Flynn, as I’ve noted in previous posts, is one of our most daring contemporary crime writers, who repeatedly takes on uncomfortable or taboo subjects such as self-harm. She often writes in the first person – as we see with Camille in Sharp Objects – and her protagonists are prickly and unconventional, or even downright unlikable. In this novel, Flynn creates an atmosphere dripping with Gothic menace, and piles on vivid physical detail to unsettle her readers. In the process, she dissects the suffocating, conservative nature of Wind Gap’s small-town life and shows how girls are pressurized to conform to gender norms in order to be accepted by society. 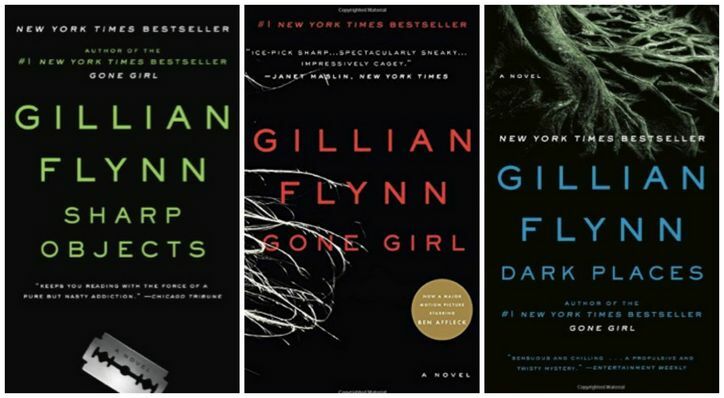 Her other crime novels, Dark Places and Gone Girl, are equally challenging and rewarding reads. 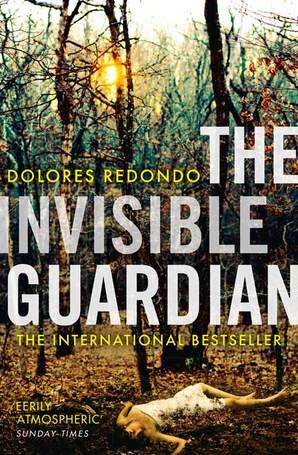 Redondo’s The Invisible Guardian can be categorised more straightforwardly as a police procedural and is written in the third-person. It creates a different kind of atmosphere, using the mists and forests of the Basque region along with the mythical figure of the basajaun to suggest that other-worldly forces are at work. (In this respect, the novel reminds me a little of Fred Vargas’ ‘Inspector Adamsberg’ crime novels, albeit without the quirky eccentricity that marks her narratives.) Like Sharp Objects, The Invisible Guardian is a hard-hitting novel whose depictions of gender and power relations will stay with you long after the story ends. It’s also the opening novel in the acclaimed Baztan Trilogy – the second novel, The Legacy of the Bones, is out now, and the Offering to the Storm is hopefully on its way. Gillian Flynn, Sharp Objects (Weidenfeld and Nicolson, 2009 ). Dolores Redondo, The Invisible Guardian, trans. by Isabelle Kaufeler (Harper, 2016 ). This entry was posted in 5 stars, America, Book reviews, By country, Spain and tagged American crime fiction, Spanish crime fiction by Mrs P.. Bookmark the permalink. Fascinating comparison, Mrs. P.! And I have to agree with you about Flynn. Love her or not, she certainly does take risks and isn’t afraid to tackle controversial topics and create controversial characters. I respect her for that. Thanks, Margot. I have to say, I don’t think I’d have the courage to go where she goes as a writer. She’s uncompromising, and true to her vision and ideas. I’d always be interested in reading something she’s written as well. Never a dull moment. Ah, the darkness of mother/daughter relationships! An interesting comparison, which hadn’t occurred to me before. By the way, the 2nd volume of Redondo continues to explore the abusive mother. Hi MarinaSofia. I must say that reading these books made me feel very warm and fuzzy towards my own mum! Did you read the Redondo in the original or in a French translation? Or have I missed it coming out in English? Just came out in English at the end of August – am a bit late with my reviewing. As for me, my relationship with my mother is tortured enough, but not quite up to that level, so I suppose that should make me feel better. Thanks, MarinaSofia. I’ve updated the post. One can only hope few daughters have the experiences of Camille and Amaia… I’m quite fascinated by the way the authors have homed in on these mother-daughter relationships and will be keeping my eye out for more. 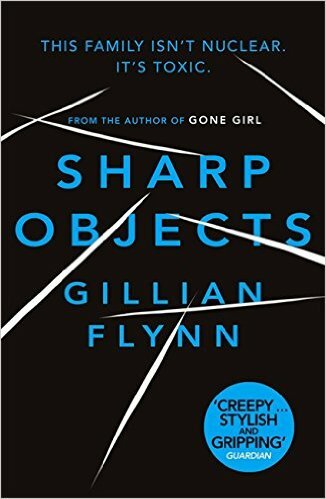 Oh, not Gillian Flynn’s Sharp Objects. I felt compelled to finish this book once I started it, but each page got more horrifying than the last. It should have been put in the “horror” category. I will never read another book by Flynn nor see a movie based on her books. And that’s it in a nutshell. 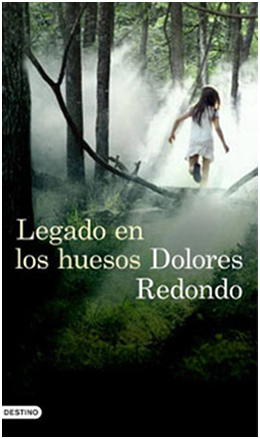 If Delores Redondo’s books are anything like this, I will skip them. Oh yes, kathyd! I listened to the audiobook of Sharp Objects as well, which if anything heightened the physical detail and disturbing tone. Nowhere to hide! Well, abusive parents and domestic noir aren’t my cup of tea, in general. I’ll see if the library has Redondo’s book, and if so, I might look it over. You can’t say fairer than that, Kathy. Hi Elena! Yes, it’s good to see different parts of Spain represented in crime fiction, and from my perspective as a British reader, I’m always really keen to visit places I don’t know much about via crime fiction. I’ve got book 2 on my list as well – which I see is now out here *rubs hands in glee*. Fingers crossed that the TV adaptation is a success and look forward to hearing all about it!